Hi I'm Jason and I'm new to all this but I'm learning and loving creating my digital media library. Focusing mostly on books and comics at the moment. Eventually I want to create a personal cloud but I'm still learning. Right now my library is stored on an external hd. I have an old Samsung notebook to to replace and LG Stylo 3 Plus. That's what I'm using. For my books I have Calibre which of course is awesome for cataloguing the books as y'all well know lol. Anyway I've read the FAQs but I can be thick plus I got the ADHD so it takes me a minute sometimes. Can someone just lay it out real simple for me. So I got around 1500 books--haven't quite got them all catalogued but almost. And I created my own field for "Library or shelf" that groups them how I want them so that I can just sync them to my phone by that field. But my ext hd is connected by usb cord to my notebook which one faq said calibre couldn't do. So....how exactly should I handle this? Thanks in advance and since I'm completely new at all this any advice or tips on anything or any sources y'all wanna recommend I appreciate. (Btw for comics I'm using ComicRack and video I think I'm going with Plex yes? And music? Media Monkey or would that be Plex too? And an image viewer that could double as a slide show? Thanks again guys. 😊) oh yeah how bout an ebook reader? I looked at a bunch. Any preferences? I just got mostly epubs with a smattering of pdfs. I'm kinda trying out Librera right now. Last edited by JasonEH76; 07-14-2018 at 04:08 PM. Is this a calibre question or a calibre companion (CC) question? I don't see anything in what you have written asking about CC. Well while I did ramble a bit and asked a couple other questions the first and main one was about syncing calibre to my phone using CC. I guess I wasn't clear. CC. I mean I quoted from the faq an issue it said I'd have but never mind I'll figure it out on my own. Sorry to have bothered you. Sorry to have offended you, but in fact you asked about using an external drive with calibre. You never once mentioned CC. 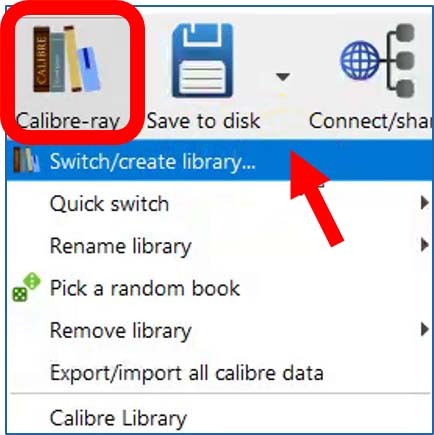 Are you asking if you can disconnect the external disk containing your calibre library from your notebook then connect that disk to CC? The answer is almost certainly "no" for reasons I won't go into here. The Wireless Device connection. This connects to a running version of calibre somewhere on the local network. You use calibre to push books to the device. This connection type is the best for syncing book metadata. The Content Server connection. This allows you to pull books from a calibre web server running somewhere on the internet. This connection type is best if want to "pull" books and if you have a 24/7 calibre web server somewhere. The Cloud Connection. This allows you to fetch books from a calibre library stored on a cloud provider like Dropbox. It also permits you to fetch books from a calibre library stored on an SD card. This connection type is best if you want 24/7 access and have your library in the cloud, or if you have copied your library to an SD card and inserted that card into your device. Guessing from what you said in your first post, I suspect that the wireless device connection would be the best solution. It is built into calibre. It is (usually) easy to set up. After you connect as a wireless device your "shelf" custom column is available in CC. You can sort and group in that field. I've been using the Cloud Connection method with OneDrive. But I never tried using it with a SD card. I'm wondering what other people do when they want to add books to that SD Card library while using that method. I assume they would need to take the SD card out of the relative device, update it externally and put it back. Is there a smarter option? P.S. Not sure this is smarter but I imagine I can always connect my device to my PC, where I keep my library and update that way. Sorry, dealing with flu and sleepy brain cells. Last edited by MegAnne; 03-31-2019 at 09:22 PM. What you probably want to do is "mirror" your calibre library onto the SD card. If done with good software the mirror process copies only changed files so updates are usually fast. There are lots of options for doing this. One is doing what you suggested, putting the SD card into your PC (implies a card reader) then using a sync program to update the card. There are lots of sync programs: freefilesync (watch out for bloatware install), goodsync, synctoy, and so on. Another is to leave the SD card in the phone and mirror over USB. A third is to use sync SW that works over WiFi. I don't know much about these apps. I also am not sure how this improves upon CC's wireless device connection. folder sync / folder sync pro. from play store, is excellent. "FolderSync enables simple sync to cloud based storage to and from local folders on the device SD cards. It support a wide range of different cloud providers and file protocols, and support for more platforms are added continuously. Root file access supported on rooted devices. FolderSync contains a full file manager, that enables you to manage your files locally and in the cloud. Copy, move and delete your files in your cloud/remote accounts. Support for creation/deletion of buckets in Amazon S3. Upload and download files from the phone. It's all supported." To give you an overview of Apps required to be installed, watch the following YouTube. 1. Back up your eBook library first. 2. Since you are already using Calibre, switch it to a Cloud storage such as Dropbox or "Microsoft One Drive"
3. Your LG Stylo 3 Plus is an android device. Install eBook Reader (e.g. Moon+ Reader) on your device(s). 4. Install "Calibre Companion" on your android device. Connect your android device to Cloud storage such as Dropbox. Read the following article. That explains how to install the Apps, especially "Calibre Companion". Hi I'm Jason and I'm new to all this but I'm learning and loving creating my digital media library. Focusing mostly on books and comics at the moment. Eventually I want to create a personal cloud but I'm still learning. Right now my library is stored on an external hd. I have an old Samsung notebook to to replace and LG Stylo 3 Plus. That's what I'm using. For my books I have Calibre which of course is awesome for cataloguing the books as y'all well know lol. Anyway I've read the FAQs but I can be thick plus I got the ADHD so it takes me a minute sometimes. Can someone just lay it out real simple for me. So I got around 1500 books--haven't quite got them all catalogued but almost. And I created my own field for "Library or shelf" that groups them how I want them so that I can just sync them to my phone by that field. But my ext hd is connected by usb cord to my notebook which one faq said calibre couldn't do. So....how exactly should I handle this? Thanks in advance and since I'm completely new at all this any advice or tips on anything or any sources y'all wanna recommend I appreciate. (Btw for comics I'm using ComicRack and video I think I'm going with Plex yes? And music? Media Monkey or would that be Plex too? And an image viewer that could double as a slide show? Thanks again guys. ��) oh yeah how bout an ebook reader? I looked at a bunch. Any preferences? I just got mostly epubs with a smattering of pdfs. I'm kinda trying out Librera right now.